The answer would most definitely be ‘clutter’, if there is one thing prevents a property from achieving its best value at the point of sale, it’s the fact that a property is untidy, or cluttered when the potential buyers came to view the property. 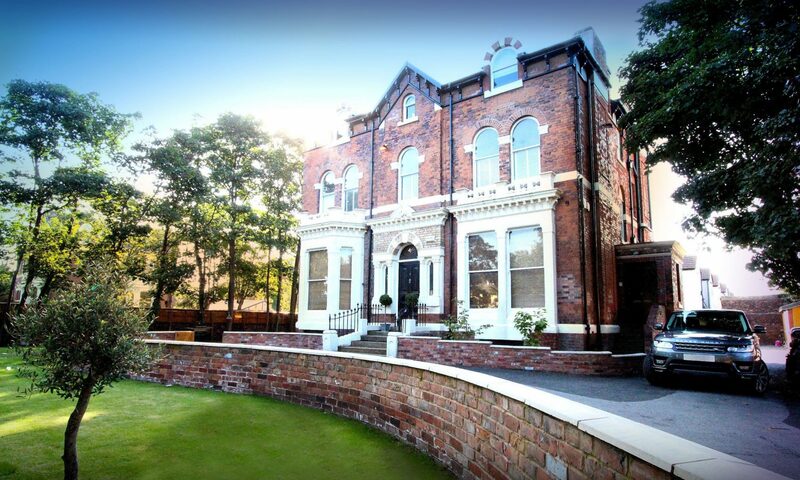 When someone comes to view a property with the intent of buying, there is one thing in particular they are looking for……. space. That’s right, the majority of people who are looking to buy a property are looking for more room. So, if you’re in the position of looking to sell your property, the best thing you can do is create as much space as you can, to show the property in its best light. Nobody wants to be viewing a cluttered property when in a buying frame of mind. Stepping over shoes or clambering over kids toys is not the best way you can present your property. First impressions last, and if you present your house in cluttered way, then your property will take longer to sell, and you may have to reduce the price. 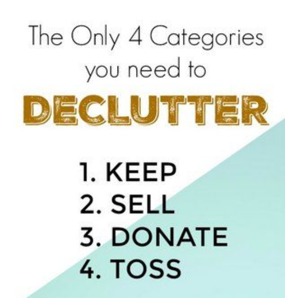 Fortunately, de-cluttering is a simple and cheap way of staging your house, so its presented in the best way for a quick sale, at the best value to you. So James Kristian have put together 5 tips to help you declutter your home to make that sale in the quickest time for the best price. You may think the best way to declutter is to do it room by room, when actually the best way to do it is by category, and by that we mean by shoes, clothes, books etc etc. Clothing is usually the biggest form of clutter in a house, items hanging on the back of chairs, multiple coats in the hallway hanging on the banister. These are the things that are unappealing to the eye when someone enters your home. Find somewhere to hide the families shoes, which are usually in a pile behind the front door. And books need to be neatly arranged to present a tidy and formal look to your property. And even though it can be emotional, take down the excessive photos from around the house, if your walls are covered in pictures and photographs, this will close in the room and make it feel small. Clean tidy rooms give the impression of space and will help the sale. When it comes to clearing clutter, you have to leave your nostalgia out of the equation. You may have an old rug given to you by your mum, or an old book case that’s seen better days in the corner of the room. But if its not improving the look of the room, then it has to go, lots of people get nostalgic about items in their house, so it may be worth getting a second opinion from a friend. If you’re preparing or thinking about selling your house, then ask someone you trust to walk around with you and ask for honest feedback on what they like, and what would put them off buying. It may not be what you want to hear, but this is about staging the property to appeal to someone you don’t know, so what’s nostalgic to you will be clutter to them. The thing to remember is you don’t have to get rid of them for good, because you can take them with you when you move. Just find a temporary home to make the space for the sale. Decluttering gives you a great chance for good old clear out, especially when it comes to clothing, I know its hard, you have that special t-shirt from the concert you went to back in the day. Or the shoes you bought that you never ever wore…..but you will one day, when the occasion crops up. When it comes to decluttering, there is no room for sentiment, keep or sweep, that is the question. 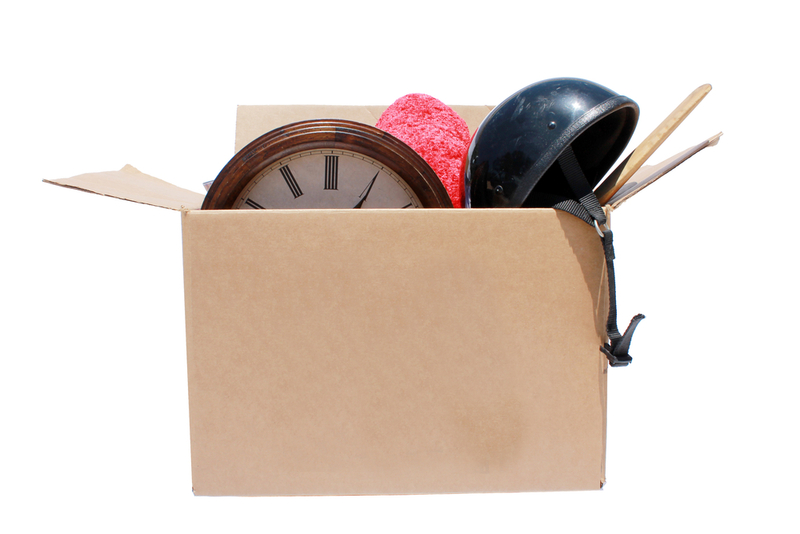 Collect all the items you are thinking of getting rid, and have two bags, keep or sweep. Then make the decision yes into keep, and no into sweep, and don’t get sentimental, this could be the factor in making that sale. 4. To Iron is fine, but fold for gold. Once you have removed all your declutter items, then you have to make what’s left presentable. 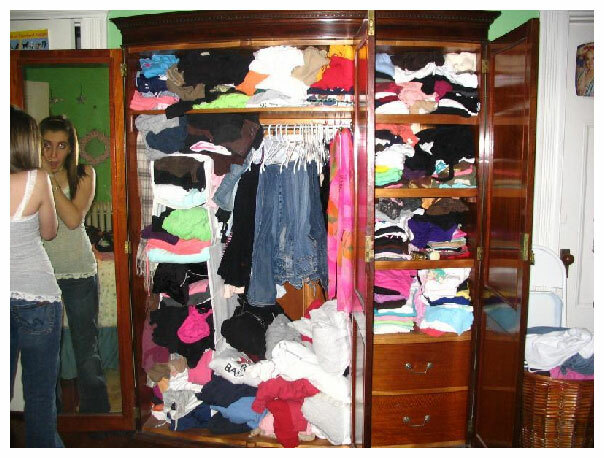 And the last thing you want when someone is looking through you wardrobes, is untidy, un-ironed clothes hanging there for all to see. If you are going to hang clothes during a viewing, make sure they are ironed and looking neat on the hangers, and make sure the hangers match. But to create the illusion of space, its better to fold clothing away, and leave the hanger space empty, so anyone viewing can imagine their own clothes in the wardrobes. Wardrobe space is a premium, so make it count. Its good to have a good old clear out now and again, and if the occasion of selling your property prompts that, then take the chance to make it a good one. 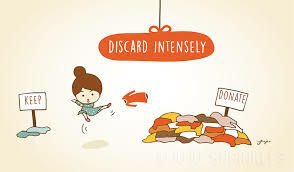 Its very cathartic to cleanse yourself of unwanted clutter, it may be a big task, but its one worth doing. If you need to get rid of excessive clothing and shoes, then take them to homeless shelter or charity shop. Not only are you preparing your house to make as much profit as you can, but you can actually help someone who needs those items more than you. You can also sell unwanted household items on eBay for a bit more cash. And once done you will be ready to stage your property for that sale, and onwards and upwards. If you are thinking of selling a property and need advice on the best way to present it for sale, then one of our friendly James Kristian staff will be more than happy to help advise you. Feel free to pop in for a coffee at our estate agents in Waterloo, or give us a call for a friendly chat anytime. Hi, yes thats the best idea, any extra space you can create before a viewing goes a long way to improving the chances of a sale.